Home | What questions does collective thinking ask in order to achieve transformational change? In seeking to address whole-of-community change or transformational change, collective thinking asks seven questions. The questions fall into two groups: outwardly directed and inwardly directed. Questioning your assumptions about the issue and the reasons you are asking the questions in the first place (introspective question – personal assumptions, experience, identity). Are you justifying your own conclusions? Are you open to new ideas? Are you sitting on the fence? Questioning all the learning from all the other questions, and taking into account the learning from the others (reflective questions – creative leap, pattern language, distributed networks, dialogue). Sympathetic (feelings, relationships, trust, sense of the other). There is a risk that the seven questions could be seen as a list or a grid; a hazard of the compartmentalised thinking inherited from previous eras. This is far from the case: each question subsumes all the other questions in a seamless web. 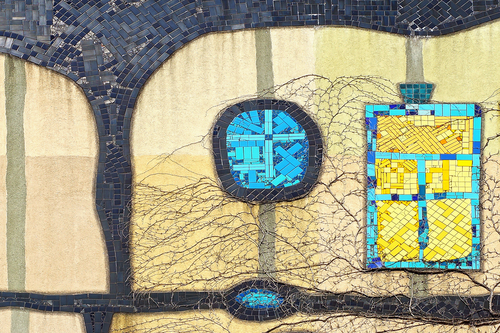 The need for the final inward reflection suggests that there is something in the structure of a human mind that requires identification of the parts as independent wholes, as one step in understanding the collective. This is a mental device and not a reflection of how the real world actually exists. Further, the questions are about how reality is constructed, not merely about perception and awareness. They are about how we believe things to be. We might also ask where feelings fit into this. Feelings, thinking and actions are implicit in all of the questions: combining the head, the heart and the hand; remembering that everything is a part and a whole at the same time. There is no doubt that asking the seven questions is a Herculean task. It is also important to examine each of the questions in their own light, before considering the most difficult task of all: ways to bring together the answers to reflective questions in a fragmented world. How does the process of asking the seven collective thinking questions work in practice? The first step in the process is questioning existing assumptions. The second step is to ask the five reality-check questions. This process requires the collective thinker to hold past, present and future constructions of knowledge in their mind. If the resultant synthesis is to influence the future, it needs to incorporate the changes introduced by leading transformative thinkers. These include changes in the relationships between parts and wholes, chaos and self-organising systems, individuals and society, and accessing the more-than-conscious minds of imagination, intuition and empathy. The third step is to ask the reflective questions on the whole of the evidence. Reflection on these changes introduces a third space, a new knowledge landscape and sense of direction. Are you interested in finding out more about the questions that collective thinking asks and how to use them to come up with a better understanding of how to explore whole-of-community change? Are you interested in how to apply the collective thinking questions to a particular community project? 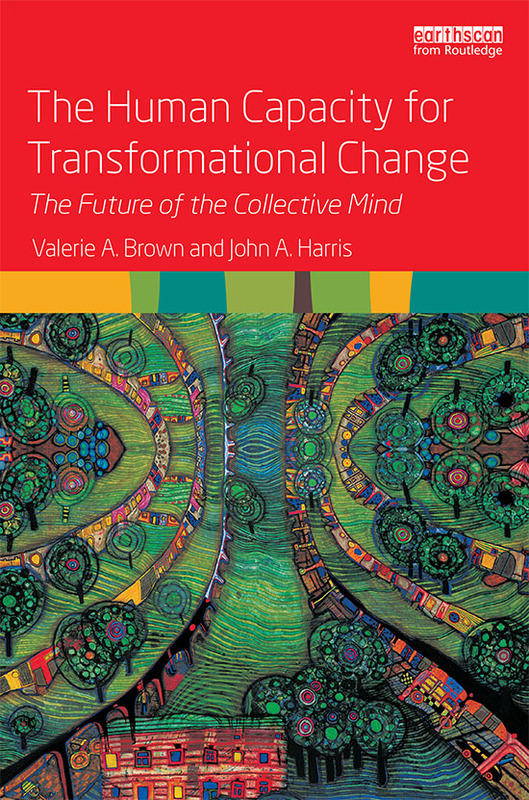 In The Human Capacity for Transformational Change, Valerie A. Brown and John A. Harris provide a detailed exploration of the seven types of questions that collective thinking asks and, most importantly, explains how to avoid those questions being treated as a list or a grid. In Collective Learning for Transformational Change: a guide to collaborative action, Valerie A. Brown and Judith A. Lambert provide a guide for individuals, specialists and decision-makers desiring transformational change. It also gives an outline of the mechanisms you can use to bring a broad spectrum of interest groups together, so they can collaborate and build a road map for the future. 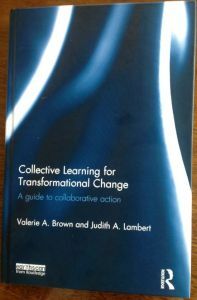 The book also provides a number of case studies, so you can see how collective learning can work in practice.